She might be one of the greatest athletes of all time, but even tennis champ Serena Williams found it difficult to get back in shape after having her baby. 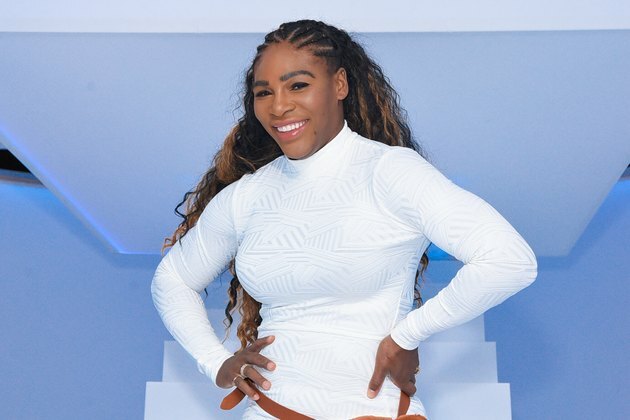 The sportswoman has opened up about her post-baby body struggles — and we have to say that she's an "ace" when it comes to keeping things real. After all, slipping back into your pre-pregnancy jeans is no easy feat, and Williams knows it. The 37-year-old gave birth to her beautiful baby girl, Alexis Olympia Ohanian, in September 2017, and admits it's taken this long to get her figure back. "I'm feeling pretty good about my body," she revealed to Allure in early 2019. "I worked hard at it in the past eight months to get back from the baby. It hasn't been easy. I'm not 21 anymore. But I did it slow and steady." To say that Williams — who is married to Reddit entrepreneur Alexis Ohanian — had a difficult birth would be an understatement. She underwent an emergency C-section when her heart rate dropped dramatically, and following the birth, she endured a six-day battle with a pulmonary embolism which resulted in numerous life-saving surgeries. So when she was finally discharged, Williams was not going to complain about her mushy new-mom tummy. In fact, she embraced it. "After I came out [of the hospital], I had a stomach," she told Allure. "But I thought, this is kind of cool: I have a stomach because the baby was there." Since she was on bed rest for six weeks with a newborn baby, whipping her body back into shape ASAP just wasn't an option. In true Serena Williams-style, though, she was back on court and making it to the Wimbledon final before her daughter was a year old. But even then, she said she was still showing some <ahref="https: www.livestrong.com="" article="" 354584-how-to-really-know-if-im-pregnant="" "=""> </ahref="https:>tell-tale signs of what her body had been through. "I was playing in Wimbledon, and I totally have a stomach, you know?" Williams told The Thirty at the time. "It's no secret. It is what it is. And I'm proud of my tummy. It pokes out a lot more than it used to," she admitted. Williams may have now gotten her incredible physique back, but wants women to realize that for most people, including her, this takes time. "I just feel like this whole story about having a baby and then coming back two days after and looking better than before is not teaching the right way or the natural way or the believable way," she continued. "Like maybe that happened to one person, but let me tell you, that didn't happen to me. So that really frustrates me… It's normal to be a woman and not come back in a week." When she was preparing for her Wimbledon comeback, Williams embarked on a sugar-free, vegan <ahref="https: www.livestrong.com="" article="" 558068-the-health-benefits-of-a-vegan-diet="" "=""> </ahref="https:>diet, but she was still struggling to lose weight. The pounds only shifted when she gave up breastfeeding — something that many women find has the opposite effect on their bodies and on the numbers on the scale. "I was totally eating completely healthily," she explained to Harpers Bazaar. "And I wasn't at the weight that I would have been had I not breastfed. What I've learned is that every body is different — no matter how much I worked out, it didn't work for me... I lost 10 pounds in a week when I stopped [breastfeeding]. I just kept dropping." Being thin isn't Williams' goal, despite the fact that when she was 22 years old she said she wanted to get down to a size four. "Oh God, I'll never be a size four!" she told Harpers Bazaar UK.of her prior weight worries. "Why would I want to do that, and be that? This is me, and this is my weapon and machine. But I love that I said that, because I can understand. I can show Olympia that I struggled, but now I'm happy with who I am and what I am and what I look like. Olympia was born and she had my arms, and instead of being sad and fearful about what people would say about her, I was just so happy." That's not Williams' only important message for her daughter — and for other new parents who may be in her shoes. "When I tell her she's beautiful, I want to teach her that she's beautiful from the inside. Giving is beauty. Being kind and humble is the ultimate beauty." Isn't that a message worth sharing? We salute you and your super-strong body, Serena!